JF-17 Thunder was part of India's Navy Day commemoration. 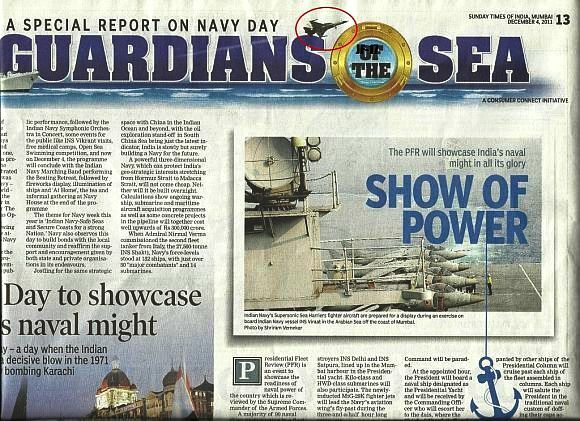 The fighter aircraft was seen on top of the special publication on the occasion. So far there has been no official response from Indian Navy. Nonetheless, we thank Indian Navy for including JF-17 thunder. This entry was posted in News and tagged Indian Navy, jf-17. Bookmark the permalink.